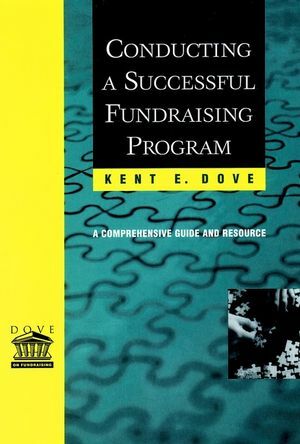 Bringing together over 50 years of annual fund experience, masterfundraiser Kent E. Dove has joined Carolyn P. Madvig and Jeffrey A.Lindauer to bring you a complete guide to planning and managing themost fundamental fundraising strategy: the annual giving program.Conducting a Successful Annual Giving Program, the thirdvolume in the groundbreaking Dove on Fundraising Series,features a wealth of illustrative samples of fundraising tools,many of which have never before been offered in book form.Throughout the book, the authors address the key components of anannual giving program--including telemarketing, direct mail,special events, personal solicitation and matching gifts--andreveal how to integrate each component of the annual giving programinto a coherent, fluid fundraising plan. View an example of a teaching tool available in this title: CourseSyllabus. Kent Dove, one of America's most successful and respectedfundraisers, is Senior Adviser and Executive Director, CampaignPlanning, for the Indiana University Foundation. He has served onthe educational fundraising committee of the Council forAdvancement and Support of Education (CASE) as well as on the boardof directors of the Association of Fundraising Professionals(formerly NSFRE). He is the author of Conducting a SuccessfulCapital Campaign, 2nd Edition (Jossey-Bass, 2000) and Conducting aSuccessful Fundraising Program (Jossey-Bass, 2001). Jeffrey A. Lindauer is executive director of special gifts andannual giving programs at the Indiana University Foundation. Carolyn P. Madvig is the former director of special gifts andannual giving programs and now serves as executive director,development administration and services at the Indiana UniversityFoundation. 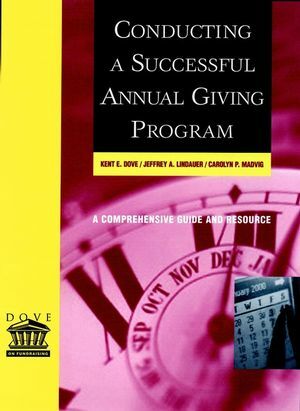 PLANNING AND IMPLEMENTING YOUR ANNUAL GIVING PROGRAM. Introduction: Defining the Annual Campaign. Preparing for the Annual Campaign. Developing an Annual Giving Plan. Elements of the Annual Campaign. Implementing a Direct Mail Campaign. The Annual Fund in Action. 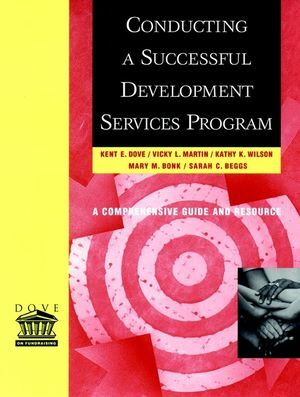 Key Program Roles and Responsibilities. Gift Administration and Donor Appreciation. Closing the Campaign and Moving Forward. THE ANNUAL FUND RESOURCE GUIDE. Annual Fund-Capital Campaign Combined Strategic Goals andCalendar. Corporate Matching Gift Guidelines and Application Form. Gala Event Sample Invitation and Program. Sales and Raffle Event Promotion. "A-Thon" Team Captain's Kit and Supplies. Entertainment and Show Publicity Pieces. Outing Registration Letter and Materials. Sample Telemarketing Scripts for Lapsed Donors.